The Iyengar method of Yoga is initially learnt through the in-depth study of asanas (posture) and pranayama (breath control). 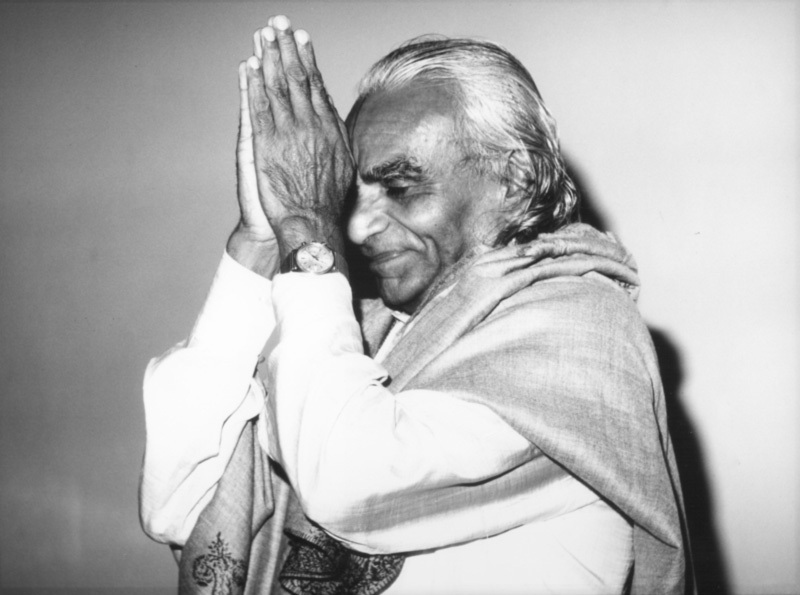 Mr Iyengar has systematised over 200 classical yoga Asanas and 14 different types of Pranayamas (with variations of many of them) from the simple to the incredibly difficult. These have been structured and categorised so as to allow a beginner to progress surely and safely from basic postures to the most advanced as they gain flexibility, strength and sensitivity in mind, body and spirit. 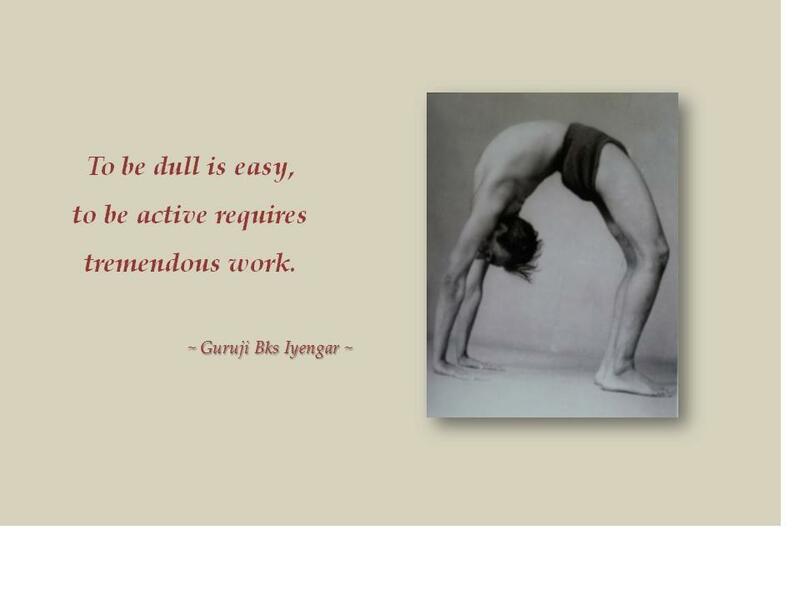 In practice Iyengar yoga focuses particularly on three aspects. Correct body alignment allows the body to develop harmoniously in an anatom ically correct way so that the student suffers no injury or pain when practising correctly. As all bodies are different and people have different weaknesses and strengths. Mr Iyengar has also developed the use of props to help the body into the correct positions required. Props are objects like wooden blocks, chairs, blankets and belts that help one adjust or support oneself in the different postures so that one can work in a range of motion that is safe and effective. An added benefit is that although the therapeutic aspects of asanas and pranayama have been known for centuries, Mr Iyengar’s unrelenting emphasis on correct anatomical alignment and methods of working have refined the therapeutic aspects of Yoga. Thus practice of Iyengar yoga will often result in eliminating aches and pains, improve posture etc. but Iyengar Yoga can also be used to treat many ailments, including extremely serious medical conditions, under the supervision of a suitably experienced teacher. The other two key aspects of asana practice in the Iyengar system are correct sequencing in which there is a powerful cumulative effect achieved by practicing asanas in particular sequences. The concept of timings means postures are held for considerable lengths of time to let the effects of the poses penetrate deeper within the individual. Pranayama is started once a firm foundation in asana has been established as physically the student requires the alignment, flexibility, lung capacity and training necessary to sit and breathe correctly while practicing. Pranayama gives numerous physical benefits including toning the circulatory, digestive, nervous and respiratory systems, activating the internal organs and creating a feeling of energy and calmness. Equally importantly it also brings the mind and senses under control and make the individual fit for the experience of meditation. deep breathing or only Asana and Pranayama. This is incorrect. 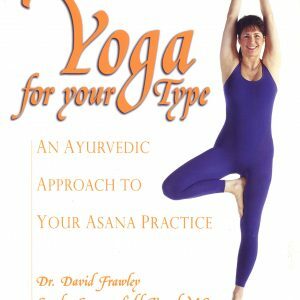 Asanas and Pranayama are merely used as the tools with which to master all 8 aspects of Patanjali’s Astanga yoga. Mastery of the body is the gateway to mastery of the mind. Consider the following: The whole human being from the outermost skin to the innermost being (or soul) is interconnected. For example, if the body is ill, the mind also becomes depressed, lethargic and bad tempered and if the mind is stressed the body becomes tense. The intensity and depth to which Iyengar yoga is practiced on the physical level does affect and change the mind and spirit. In doing yoga asanas the whole body and mind must learn to become involved. One has to spread one’s awareness to the smallest parts of the body simultaneously so the mind becomes alert, attentive and sharp. One learns to breathe smoothly deeply and evenly so one’s energy (prana) can flow without obstruction and one learns to make the mind quiet, passive and receptive thus promoting a meditative state of mind. This makes the body fit for Pranayama. Through asanas one also learns an awareness and application of ethics – Yama and Niyama. For example one of the Niyamas is sauca (Purity). An example: Because yoga builds up a very sharp awareness of the state of the body and mind, one becomes very aware of ones state of health and begins to nurture it. So after too much eating and drinking, the body suffers and the mind becomes dull. As one spends more and more time practicing yoga, the obvious contradiction and self destructiveness becomes more difficult to reconcile and one begins to moderate ones eating and drinking, leading to a more pure lifestyle. Another example of this is the Yama of non-violence. Although superficially Yamas are social ethics and Niyama personal disciplines, both can be applied equally to any situation such as society or the physical body. 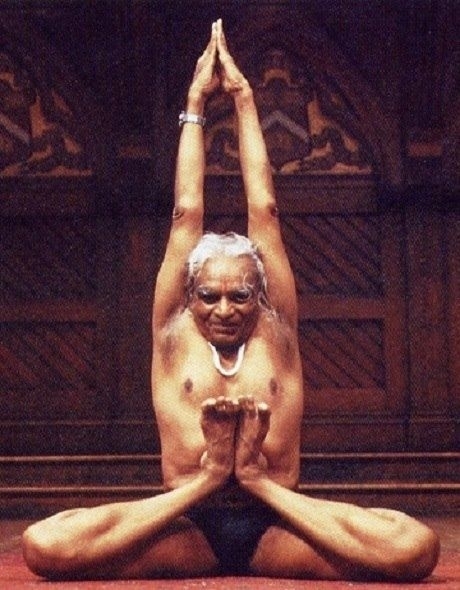 Indeed Mr Iyengar has used asanas as a way of illustrating the complexities of these disciplines. So for example, while doing Parsvakonasana one may experience pain in the front knee and assume it is at fault for causing one discomfort. But in reality the knee is causing pain because it is forced into an unnatural position by the thigh and buttock working lazily. So the buttock and thigh do the violence by being lazy but we blame the knee. The remedy is to make the buttock and thigh work correctly then the knee can function properly and the discomfort disappear. As one’s sensitivity in the postures increases one also realises that not only the buttock and thigh but all parts of the body to a greater or lesser extent have had their role in the violence to the knee. This thinking can be applied to society where it is easy to find the roots of violence in unhappy homes, childhood neglect and poor education. it is theoretically possible to achieve a meditative state of mind by merely sitting and concentrating, in practice it is not possible for 99% of people. In meditation the mind is absolutely silent but razor sharp. Many people go to meditation classes, for many years even. But few achieve this state of consciousness. 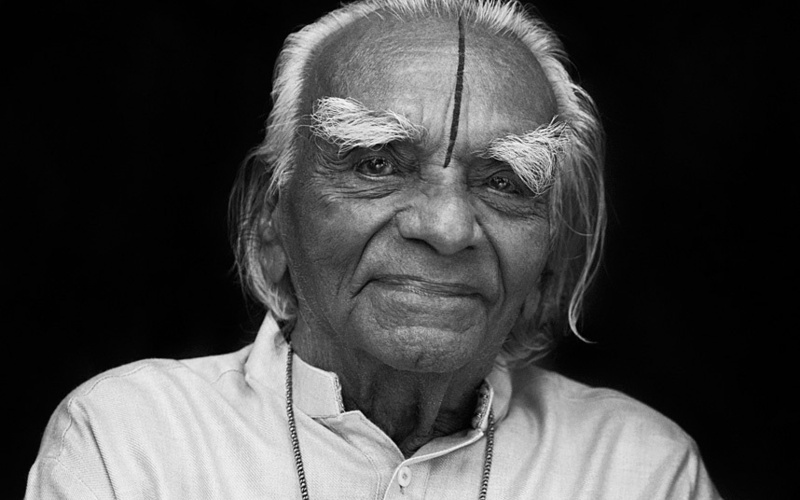 Mr Iyengar says that for normal people, the mind has too many “portals.” It is like a sieve full of water. Whichever hole you block, water continues to pour out of the rest. The mind is too subtle, cunning and restless to be controlled and made still. Therefore Pranayama is recommended as the breath is used to still the mind. Smooth subtle and controlled breathing is far easier to master than the mind and when the breath becomes smooth and steady so does the mind. Then one can learn to withdraw the senses from external objects and cultivate the state of mind where the experience of meditation can come. As indicated, meditation is a state of mind that cannot be learnt and thus the practice of sitting and attempting to meditate is not a guarantee of results in itself. Rather the foundations of self culture have to be built through practicing the first five disciplines of yoga. The experience of meditation comes when the student is ready. This leads to another keynote of Iyengar yoga: meditation in action. If one can meditate on a flame, grain of rice or other subject, why not meditate on the posture one is performing? So, as a student does yoga postures the mind learns to become aware of the different parts of the body. At first the mind moves from part to part but with training learns to become absorbed in all parts of the body evenly at the same time. One learns to refine one’s awareness and penetrate deeper into the body in order to achieve more accurate and thus effective and comfortable postures. So the mind is trained to achieve a meditative state of being. Although pranayama is the real key to preparation for meditation, the progress made is applicable to asanas which can be practiced to such a degree of refinement that one meditates in the posture. performs one’s asana and pranayama. Sequence refers to the sequences in which asana and pranayama are practiced. For example, by varying which postures are practiced after which, the mental and emotional effects of the practice can be intensified in a manner not otherwise possible in order to bring about changes to the whole being including ones spiritual evolution. Timing refers to the length of time spent in postures or pranayama. Postures cannot be done swiftly or without awareness. It takes time to move into a posture and become stable. When this has been achieved then one remains stably for some time to intensify the depth of the posture and so extract its benefit. Otherwise the potential effects and benefits remain small compared to what is possible. 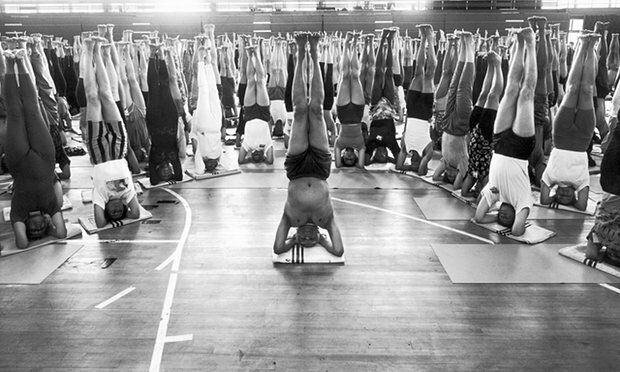 So one can begin to see how Iyengar yoga cultivates all 8 disciplines of yoga and is far from merely “gymnastics and deep breathing.” With practice and understanding, one realises that Asana (posture) is as different from stretching or gymnastics just as Pranayama (Breath control) is different from merely deep breathing and meditation is different from self-induced trance. The prolonged practice of asana and pranayama affects the individual on an organic (physiological), mental and spiritually level as well as just physically.